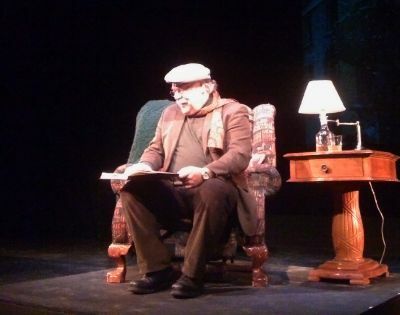 Bill read Dylan Thomas' "A Child's Christmas in Wales" to holiday audiences at the Bas Bleu Theatre in Fort Collins, Colorado. "I was in the audience when [Bill Tremblay] performed 'A Child's Christmas in Wales,' and it was a rewarding evening for me, having lived in London for 20 years. Tremblay's portrayal of the many voices brought laughter and tears from the audience." Richard Hill.